The guns keep score wirelessly without a computer. One player’s gun acts as the host and other players join. Uses the body of a Paintball Gun with the internal components of a Laser Tag system for a tactical experience. 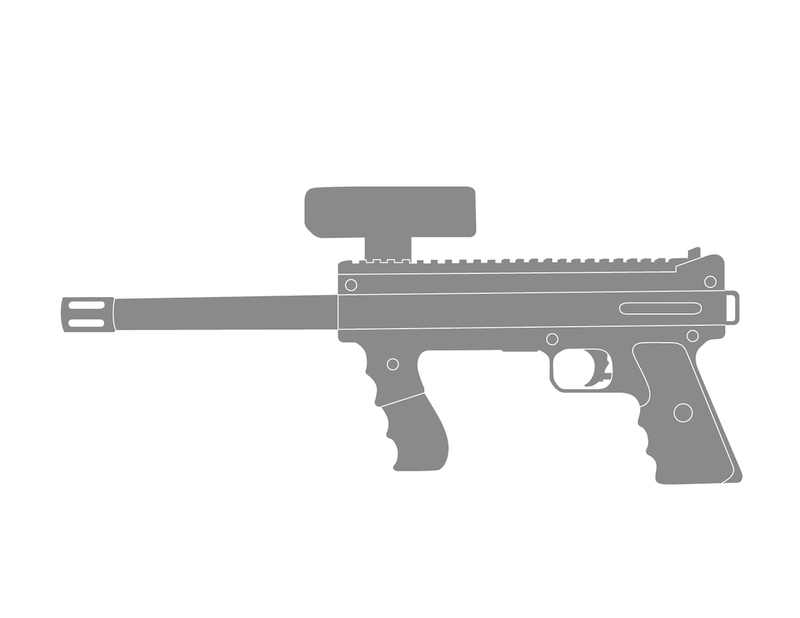 Adults will enjoy the light weight paintball gun without CO2 tank. 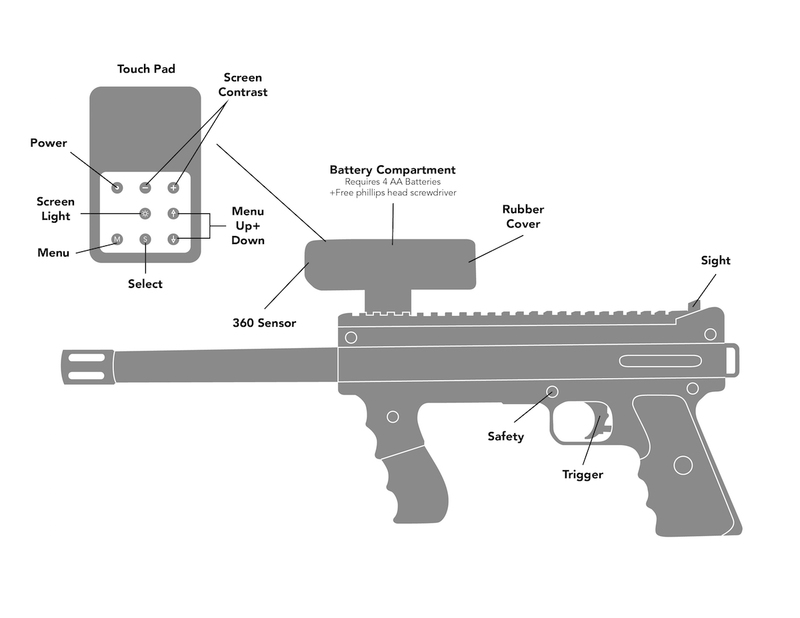 This is a hybrid paintball laser tag system. Not all laser tag guns are created equal! 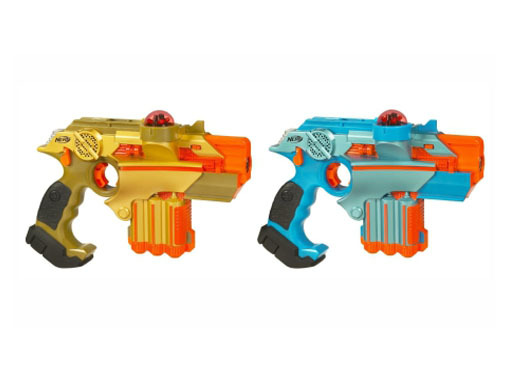 As the lion is the king of the jungle, the iCombat Barracuda is the king of laser tag! The Barracuda is as hard-core as it looks! With tactical-grade optics and RF signal communication you know in real time who you’re tagging and who is tagging you. The iCombat Barracuda also has the best range of any commercially available laser tag system we’ve found on the market today; rated for 1000’ range (3-4 times the range of most laser tag systems available today). The Barracuda give you total control over your game-play experience! 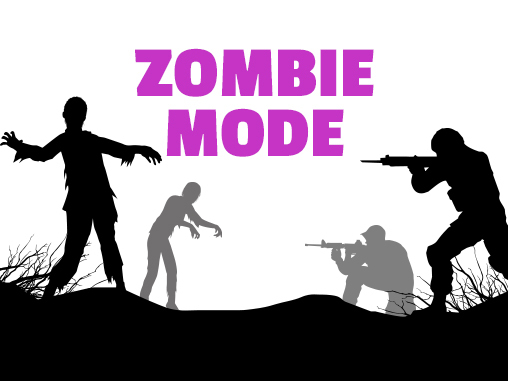 You have command of game length, each player’s health, ammunition, etc. Tons of control, but once the game starts its as easy to use as aiming and pulling the trigger! See how the iCombat Barracuda measures up to the other systems. RANGE: over 1000 feet using Infrared and RF signals, day/night! INTEL: On board computer controls game to not allow cheating! You know who you shot and who shot you, instantly! AUDIBLE and VISUAL SIGNALS: To stop/start games; countdown to game start; signal when you are shot; signal when you shot opponent, etc. SPEED: Your shots fire at the speed of light! There is no dodging infrared shots! RF Signals: These latest technology guns also use RF signals to communicate stats between each gun and a central control tower. This way reports can be printed on each team’s and individual’s stats. Interested in our newest technology?